Through climate services, basic climate information and data are transformed into products and specific climatic applications useful for various sectors' users. 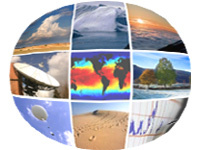 This section provides general climatological information on means and extremes of weather data sets, climate monitoring products, seasonal forecasts and climate projections for the twenty-first century in Spain under different emission scenarios. Information on Spain's recent past climate. Regional projections of climate change for the twenty-first century.